The times were turbulent when the 101st Airborne Division was fighting in Viet Nam. Emotions ran higher in urban and more liberal parts of the country and less so in the small towns and communities of "middle America" although the forces of change were everywhere. Social issues that had been repressed for decades rose to the surface: race relations, drug use, womens' rights, and distrust of the government's motives for foreign wars and the use of the CIA to undermine unfriendly foreign governments. 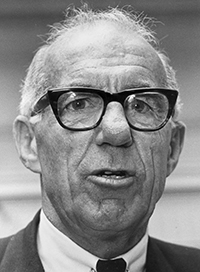 Tensions with the Soviet Union continued with fears of advancing global communism and the threat of nuclear war. Below are some of the main news stories from 1968-1970 which reflect this turbulence. The Woodstock Music Festival opens with 500,000 rock music fans going to this Peace and Harmony Music Festival. 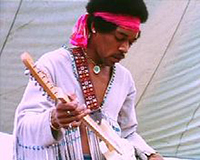 Thirty Two of the world's best known musicians appear during the festival including The Who, Crosby, Stills, Nash & Young, Janis Joplin, Creedence Clearwater Revival, Grateful Dead, and Jimi Hendrix. Many believe it was the greatest gathering of 60's musicians and is still thought to be the greatest live concert ever staged. Hurricane Camille a Category 5 hurricane makes landfall near the mouth of the Mississippi with winds estimated between 150 and 205 mile per hour. The hurricane was responsible for the death of nearly 300 people and the destruction of thousands of homes in Alabama, Mississippi, Virginia and Louisiana. Britain Deploys Troops Northern Ireland. Following a number of days of violence in Londonderry, Belfast and other cities in Northern Ireland, the British Home Secretary James Callaghan announces troops will be deployed in Northern Ireland to restore law and order. Sharon Tate Found Murdered. Five people, including actress Sharon Tate, were found murdered in the wealthy Bel Air suburb of the city Los Angeles, California, Cult leader Charles Manson and several of his followers were later convicted of the killings. Apollo 11 takes off for the Moon. Second Apollo mission lands on Moon and Neil Armstrong makes Famous quote "That's one small step for man but one giant leap for mankind. Biafra fight for independence. Food aid and medical supplies from the International Committee of the Red Cross to war torn Biafra have been banned by Nigeria. It is estimated as many as three million people who are going to starve to death in the next few weeks unless something is done. Two weeks later due to International Pressure Nigerian leader, General Gowon, allowed the Red Cross to airlift urgent medical supplies and food to Biafra. Biafra is forced to give up it's fight for independence shortly afterwards. Student Protests Police forces in the United States crack down on student protests on campuses across the US using a number of means at their disposal including warrants and an increased police presence. The universities include some of the most well known institutions including Columbia, Harvard, Cornell and Stanford Universities. Senator Edward "Ted" Kennedy and the Chappaquiddick Affair. A car driven by Senator Edward "Ted" Kennedy plunged off a narrow wooden bridge into a tidal pond after leaving a party on Chappaquiddick Island. Kennedy escaped the submerged car but his passenger a pretty blonde secretary ( Mary Jo Kopechne )who was riding with him drowned in the accident. 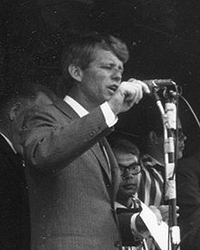 Kennedy was later convicted of leaving the scene of an accident. An underground nuclear test is carried out at the Atomic Energy Commission's Nevada test site. The Stonewall Riot A police raid of the Stonewall Inn a gay club located on New York City's Christopher Street turns violent as patrons and local sympathizers begin rioting against the police this was known as The Stonewall Riot. Altamont Rolling Stones Concert. A free concert organised by the Rolling Stones featuring Santana, Jefferson Airplane, and Crosby, Stills, Nash and Young and The Rolling Stones at the disused Altamont Speedway in Livermore, Calif., is marred by the deaths of four people, including a man who was stabbed by a Hell's Angel, The stage, which was only four feet high, was surrounded by the Hells Angels, who acted as security for the concert. Brian Jones Former Rolling Stones Guitarist Drowns The inquest into the death of rock and roll star Brian Jones the former Rolling Stones Guitarist has recorded a verdict of death by misadventure, after he had drowned when taking a cocktail of drink and drugs. Jim Morrison was arrested by Dade County a few days after his performance in Miami. He was charged of one felony and three misdemeanors related to indecent behavior he displayed on stage. James Earl Ray Verdict. The verdict had been decided. James Earl Ray pleaded guilty of the crime of assassinating Martin Luther King, Jr. a major civil rights leader of the times. 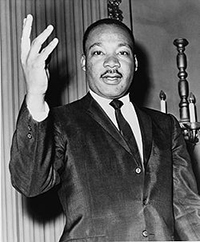 King was killed in Memphis Tennessee on April 4, 1968. Ray was sentenced 99 years in prison. Pontiac Firebird Trans Am. The Pontiac Firebird Trans Am the epitome of the American muscle car is introduced. US Institutes Draft Lottery The U.S. government holds its first draft lottery since World War II when the Selective Service System of the United States held a lottery to determine the order of draft (induction) into the U.S. Army for the Vietnam War. 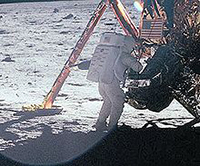 Apollo 12 The astronauts Charles "Pete" Conrad and Alan Bean of Apollo 12 land on the Moon with their lunar lander, Intrepid, and become the second set of American astronauts to walk on the moon’s surface. President Richard M. Nixon: "I have decided to order the immediate redeployment from Vietnam of a divisional equivalent of approximately 25,000 men." California becomes the first US State to adopt "No Fault" Divorce law. The Isle of Wight Festival takes place. 600,000 people attend the largest rock festival of all time. Artists include Jimi Hendrix, The Who, The Doors, Chicago, Richie Havens, John Sebastian, Joan Baez, Ten Years After, Emerson, Lake and Palmer and Jethro Tull.